It’s Opening Day, y’all, and the return of America’s national pastime brings with it the promise of some awesome promos. Yes, there will be t-shirts and bobbleheads (lots of them). But there’s also a wide range of cool and quirky giveaways on teams’ promotional lineups this year. MLB teams have been giving out promotional items since the 1960s to lure fans to games, and it’s a strategy that’s still effective more than 50 years later. It’s true. Free stuff is a powerful motivator to get fans to the ballpark. Here’s a look at our roundup of the season’s 10 most buzz-worthy MLB promos. Here’s a cool promo from the Snake Pit – and it’s especially for moms. The first 10,000 D-back moms get a cozy pair of slippers when they head to Chase Field on May 18. It’s definitely not an expected gift in the hottest state in the U.S., but still, we like it. We’re all for pampering moms with a great promo a week after Mother’s Day (May 11). The Cubs are ringing in 10 decades of Wrigley Field history, and they’re celebrating with a colorful assortment of throwback promotional giveaways: custom die-cast train engines, yo-yo’s, and Rubik’s Cubes just to name a few. 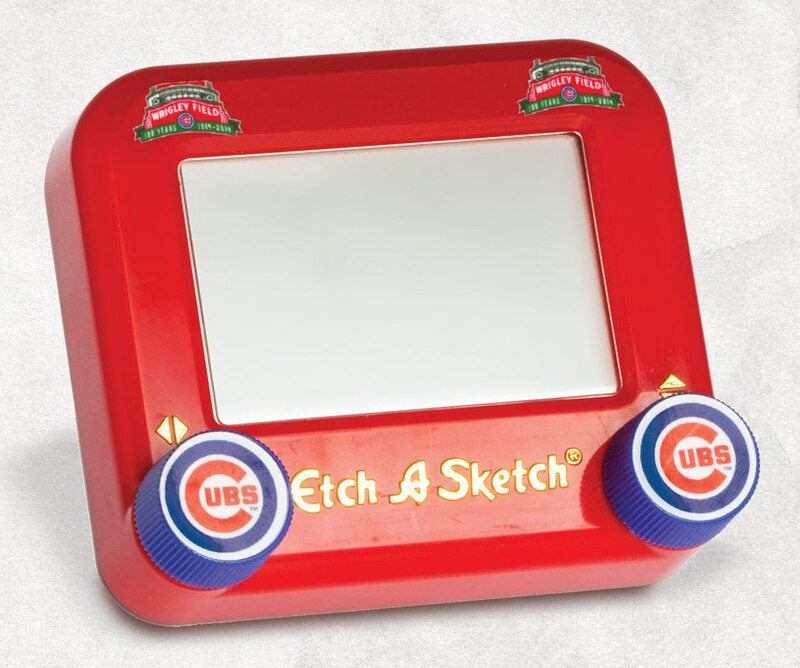 Our favorite, though, is a nostalgic joy: custom Etch-A-Sketch toys. They’ll be handed out to the first 5,000 kids on July 13. Photo via chicago.cubs.mlb.com. Reds fans aren’t waiting for Movember to rock their ’staches – 20,000 of them will be sporting a groomed handlebar mustache a la Mr. Redlegs at the July 26 game. It’s a fun giveaway that captures the spirit of the Reds game experience, and will likely draw hordes of people to Great American Ball Park. 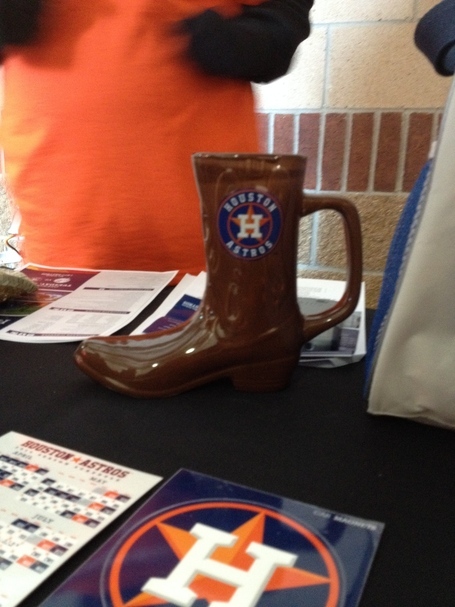 Texans are in for some sweet cowboy swag at the August 8 showdown between the Houston Astros and Texas Rangers – the first 10,000 fans will receive a custom mug shaped like a cowboy boot. It’s perhaps more fitting for the rodeo, but this is Texas, and anything cowboy goes. There’s even a cowboy hat giveaway the next day to bring the theme full circle. Yeehaw, y’all! Photo via www.crawfishboxes.com. 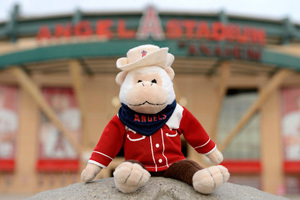 Angels fans will be getting some cowboy promos all their own – a plush version of their beloved mascot: the Rally Monkey. He’ll be all gussied up in a Western shirt, cowboy hat and Angels bandana for fans to grab at the July 8 game. He’s so cute we can’t imagine this giveaway lasting long. Photo via www.stadiumgiveawayexchange.com. It doesn’t get more all-American than baseball and barbecue. The first 10,000 Twins fans at the May 26 game will score a great promo – custom barbecue tongs – they can use all summer long to show off their Twins pride. And grill up some mean burgers. 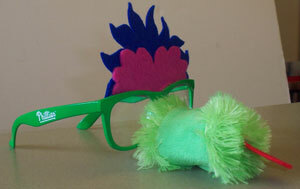 Okay, so they’re not technically sunglasses – they’re more silly-nose-and-mustache glasses – but the “Phillie Phanatic Phun Glasses” are so different and fun, they had to make our list. Fans age 14 and under will snag a pair at the May 18 game, which incidentally, is the Phanatic’s birthday. Happy birthday to the green, furry creature that’s undeniably one of the best sports mascots around. Photo via www.stadiumgiveawayexchange.com. Lots of teams – MLB and minor leagues – have a “Star Wars Day,” and the Giants are taking things to the next level this season with custom R2-D2 beanies. 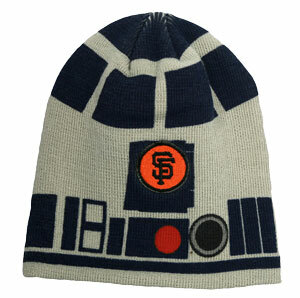 The first 20,000 fans through the gate on August 16 will score an R2-D2 beanie with a Giants logo for Stars Wars Day. If you’re a baseball-loving Star Wars fan, this is the day to go. Photo via www.nextimpulsesports.com. Yes, that infamous custom hat is back in the Mariners’ promotional lineup this year. Be one of the first 20,000 fans on April 25, and you’ll score the hat that’s part ski cap, part faux facial hair. An update on this year’s hat – it’s blond! The hip-hop kitty that Rays fans love to love is going down in history as one of the coolest (and quirkiest) promo giveaways. 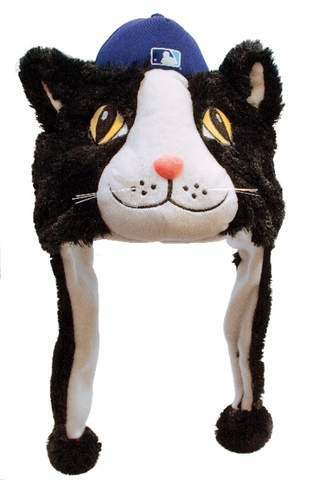 The first 20,000 fans at Tropicana Field on May 10 can adorn their heads with the very cute DJ Kitty plush hat. It just makes sense to turn the most swagtastic feline around into a wearable promotional product. Photo via www.tbo.com. So, there you have it: Our rundown of the top 10 wackiest MLB promos of 2014. We love a great bobblehead as much as the next baseball fan, but these giveaways would definitely get us out to the ballgame. What promotional giveaways are you most excited about?